Zip contains 1 layered .psd with all uv templates for the Cthog figure. 4096x4096 resolution, labeled, and color coded in the eye materials and the mouth. Additionally you'll find a CthogBlank.cr2 in your Runtime: Libraries: Character: Cthog Folder. 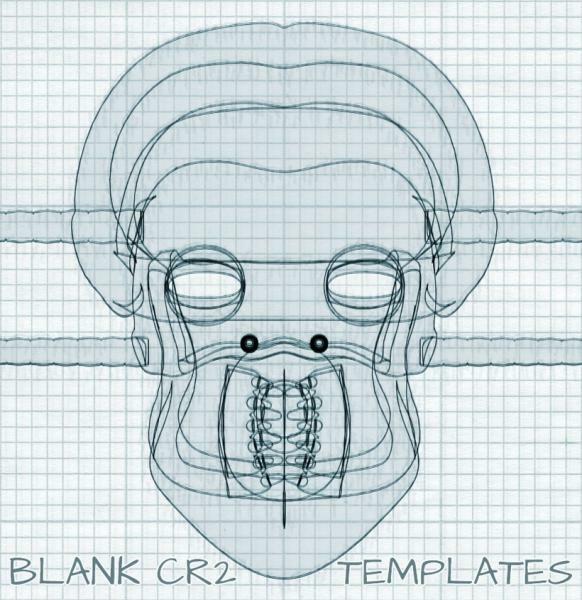 This .cr2 has had all morph, IK, and material information stripped out. its purpose is for use as a donor rig for add on conformers or as a working base to generate .pmd INJ files for custom morphs. Cthog original Poser figure/.obj is required for usage of these files.